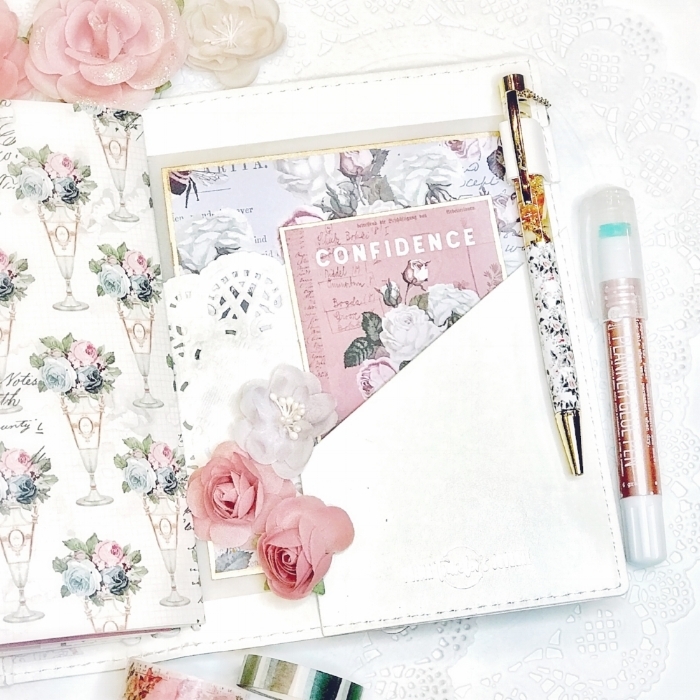 Design Team member Christine Penaflor of Faith Artistry created this stunning set up in her new B6 traveler’s notebook from the new Poetic Rose collection. Tucked away in the beautifully filled pockets, are gorgeous pieces of the ephemera paper pack. The lovely quotes featured through out the entire entire Poetic Rose collection are positive reminders. 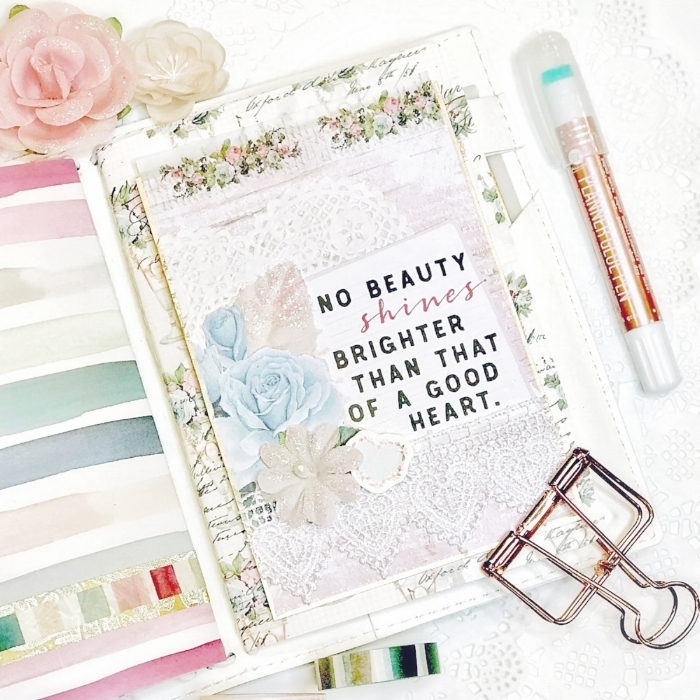 They are a perfect add on to the notebook covers in your PTJ. The planner glue pen has continued to be a top seller as it is perfect to adhere all these special paper pieces to each page. Here you can find the the list of items that Christine used throughout this posting. We cannot wait to see what you create with the Poetic Rose Collection.